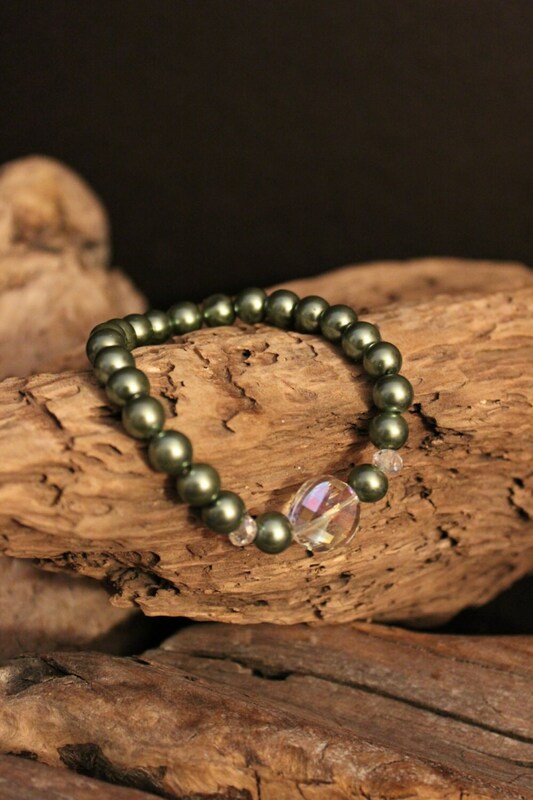 Lovely Sage Green Pearl stretchy bracelet with Swarovski AB Crystal Rondelles and Wavy Disc Focal bead. Measures 7 1/2in and can be adjusted if needed. Lovely Pink Raspberry Pearl Stretchy Bracelet with Swarovski AB Cube Crystals and Mother of Pearl focal bead. Delicate ivory pearls and AB grey swarovski faceted rondelles make this stretchy bracelet prefect.